Are you planning to move business soon? Or you just want to have a new view of your place by doing some renovation? But you notice that you don’t have enough space where you can keep your stuff while you are doing it? Then you probably need to get a clean, safe and secured place where you can keep them. Good thing, Macy’s Mobile Self Storage has the answer for you! 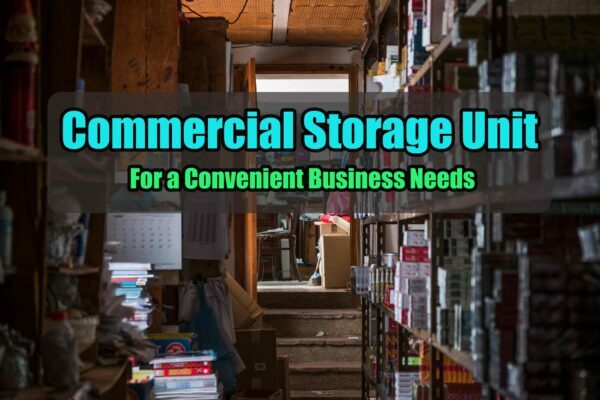 No matter what kind of depot unit, whether it’s commercial self storage or personal, we’ve got your back! Macy’s Mobile Self Storage has a perfect depot facility that can definitely suit your need. When it comes to security and safety, you can rest assured that we can give it to you! We have a reliable team that can help you choose and find what is the right depot that you need for your stuff. And no matter what season you plan for renting, feel free to reach us so we can assist you. So, whether you are planning to have a vacation or business relocation, then we are what you are looking for! From short and long term depot to commercial self storage, you can choose whatever types of depot you need. Are you looking for a depot that will suit your budget? Well, Macy’s Mobile Self Storage can absolutely provide it to you! We have lots of awesome deals where you can choose and fit your demand for space. If you think that you no longer have enough room in your place, then having commercial self storage may be a good solution for you. There are many types of depot that you can choose from. Just let us know what you need and we will help you figure out what might work for you. We can guaranty that your stuff is safe with us since our facility has security devices like CCTV. When you decide to have a relocation, there is a huge chance that you have to get some help from the experts. Especially if it is a big move you need to make, moving professionals know how to deal with it. While your stuff is inside in commercial self storage, you can manage to do other things. Isn’t that convenient? You can do multi-tasking without imagining you are already doing it. We are not only offering commercial self storage but also other types of depot that you may like and prefer. Whatever sort of things, as long it’s allowed under our policy, then you can definitely store them in it. Macy’s Mobile Self Storage has been serving thousands of numbers of Australian in keeping their belongings safe and sound even when they are away. We provide rates that can meet your budget allocation. Aside from that, we also make sure that your stuff is in a clean, dry and protected depot. Even if it’s a small or big depot unit, you can guaranty that they are in a good state just like the first day you keep them. You can find more by visiting our blog section for helpful tips and hacks that you can use or try when it comes to storing items and packing as well. This entry was posted in Storage and tagged commercial storage, commercial storage shelves, commercial storage shelving.